Get ready. Get excited. Get on board. 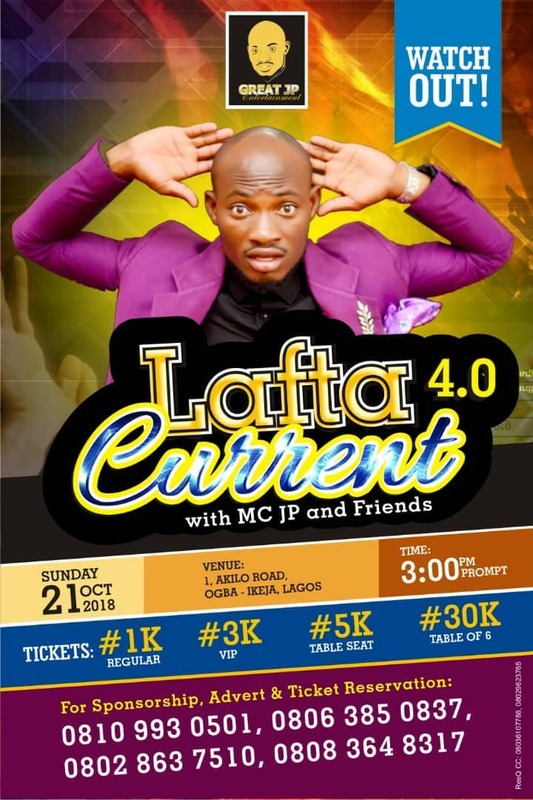 4th edition of Lafta Current with Mc Jp and friends. Happening live @Prime Rose event Centre1Akilo road, ogba agege Lagos. Omo baba, Kenny blaq, Ojemba, Laff doctor, mc open teeth, mc 90s, Baba Kay, mc senator, chinyoung, prophecee, mc Glad, Biscuit bone, mc chinco, TMO, mc Chris, sunnex, mc praise God, De Great, mc cure, wole arole, wicked tailor,mc dirty mouth, Belicious, Recharge card,Sam Glorious,laftabox.